London Independent Photography is excited to welcome Gill Golding as our new Chair. She takes over the position from Hugh Look, who served from 2013. We are grateful to Hugh for his time commitment in overseeing LIP’s activity development, and for his support of our inclusive founding values. Hugh graciously offered calm and steady guidance during our committee meetings, and great enthusiasm in his interactions with members. His contribution over the past three years is deeply appreciated. I’m delighted to be able to hand over the role of Chair of LIP to Gill Golding with immediate effect. Gill has been a member of LIP since 2012 and regularly attends the Crossing Lines satellite group, where she plays an active role. She is an urban photographer, and has completed an MA in Photography and Urban Cultures at Goldsmiths, University of London. Gill is already heavily involved in photography, and brings a strong record of success in her work with UrbanPhotoFest, both as a member of the Steering Group and also as the Competition Organiser; she initiated and launched the new, annual UrbanPhotoFest Open photography competition which was hugely successful. Gill participated in judging the 2016 UPF Open with Paul Halliday from Goldsmiths and Rut Blees Luxemburg. She recently co-founded Urban Photographers Brighton, formed to become a hub of the Urban Photographers Association. Gill is a former teacher and head teacher, and continues as an educationist. She believes that one of her main responsibilities will be to help LIP increase its revenue and membership. She will be looking at links with other organisations to form partnerships that encourage people to participate, learn and get involved. LIP’s Committtee has co-opted Gill to act as Chair until the end of the year, when (like all the Committee) she will stand for election at the AGM. I wish Gill every success as LIP’s new Chair. I’ve very much enjoyed my own time as Chair, and especially the chance it has given me to meet many of our members: I would like to thank all of them for the different contributions they make to LIP’s success, and especially the Committee and the volunteers who support different aspects of the Committee’s work. Without their tireless work we wouldn’t have a magazine, an exhibition, workshops, talks and lectures, a website, or indeed any of the activities that LIP’s members value and enjoy. We all owe them not only our thanks but also any help and support that we can give to them and our new Chair. LIP member Celine Marchbank‘s Tulip – a heart-rending photographic portrayal of a daughter’s last weeks with her mother – has been published by Dewi Lewis after a successful crowdfunding campaign. Dewi Lewis Publishing is recognised as one of the leading photographic publishers in the world, and Celine is delighted that Tulip is now available to order. In September 2009 Celine’s mother, Sue Miles, was diagnosed with lung cancer and a brain tumour. While trying to come to terms with the fact she was dying, Celine decided to document the time her mother had left by photographing during her last few months in her Camden home. She looked at the things that made Sue uniquely her; the details of the house she knew so well and the things she realised would also be gone when her mother was. Her mother’s love of flowers was a beautiful part of her personality; the house was always full of them, and as she photographed them she realised they were symbolic of what was happening – they represented happiness, love, kindness and generosity, but also isolation, decay, and finally death. 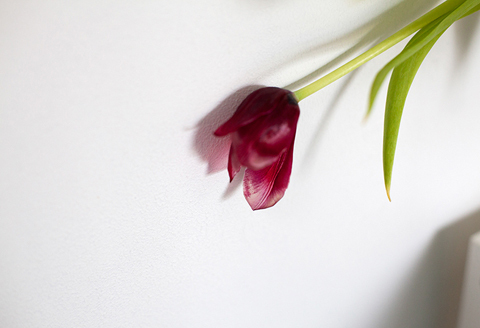 The final project, Tulip, is named after her mother’s favourite flower, and has been exhibited around the UK and internationally. The work has been nominated for awards including the prestigious European Publishers Award and the Deutsche Bank Awards in 2011. It has featured in a range of magazines, including fLIP, and The Telegraph Magazine. Alixandra Fazzina’s ‘Visualising Migration’ lecture on 25th November was a very successful night that had the audience wanting to hear more. Also on the evening all the books her publisher brought along sold out with not everyone able to get a copy. Trolley Books is offering LIP members a signed copy of A Million Shillings by Alixandra Fazzine for £30 plus p&p – until 10th December! 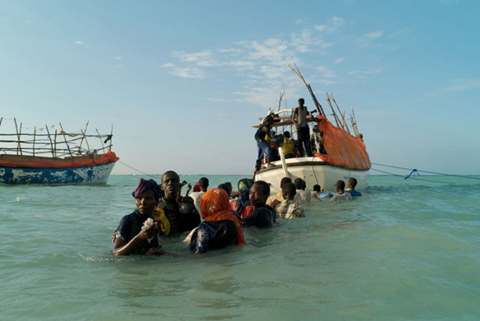 Across the Horn of Africa, war, abuse and poverty make millions miserable and drive thousands to attempt to flee. With land borders cut off or closed, and surrounded by conflict on all sides, one of the only means of escape is by sea. ‘A Million Shillings’ follows the journey of desperate emigrants, or ‘tahrib’, to their embarkation points with smugglers on the coast of Somalia, on a perilous voyage across the Gulf of Aden, and onward in the search for a better life. The cost is just $50, or one million Somali shillings. With a one in twenty chance of not making it to the other side alive, it is a price they must risk their lives for. Even then, it is a journey which for many will remain unfinished. TO ORDER, contact Trolley Books on info@trolleybooks.com and mention LIP. They will then arrange payment (card or Paypal) and shipping. LIP member Alina Kisina is offering a workshop, Portfolio Clinic: Preparing for a portfolio review. From her extensive experience of both receiving and giving portfolio reviews, Alina will offer feedback and guidance to photographers to identify what can be gained from a portfolio review and how to best prepare for them, including editing and presenting your work. 20-minute slots are available throughout the day, on a first-come basis. Advance booking is required. This event is part of East London Photomonth 2015. Four of London Independent Photography’s collectivity of photographers will be contributing to the 2015 Urban Photo Fest at Goldsmith’s College this Autumn. 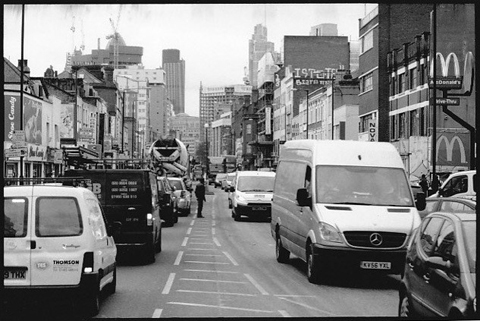 Urban Photo Fest is organised by Goldsmith’s Centre for Urban & Community Research in association with a variety of organisations including Tate Britain, LIP, PhotoFusion and Kingston University. This year’s overall theme at UPF is ‘Photography & the Street’. A seminar entitled ‘Approaching the street: perspectives on social photography’ will be presented by Mo Greig, Peter Luck, Claire Reddleman & Anita Strasser. The seminar offers an opportunity to gain an in-depth insight into the multiplicity of ways in which the street provides accommodation & removal, community & conflict, metaphor & memory, razing & resistance, testament & record. The session will be in two parts: Each photographer presents a formal illustrated introduction to the background, motivation & processes of their working practice, followed by an open viewing of their archive portfolios and informal discussion with the photographers in an adjoining room. The Hull International Photography Festival is an annual event where the cultural importance of photography is recognised. It is a celebration of a physical art form, but one which is globally and digitally accessible. Professionals come to exhibit, network, sell work, exchange ideas, and meet contacts. The event is also an opportunity for amateur & emerging photographers of any age & ability to immerse themselves in the world of photography, find information, gain support, share their passion and showcase their work. 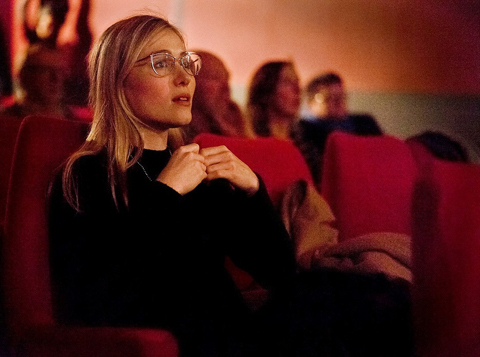 The festival runs 2-30 October 2015 and is a 2hr direct train journey north from Kings Cross. See hipphotofest.com for full details.